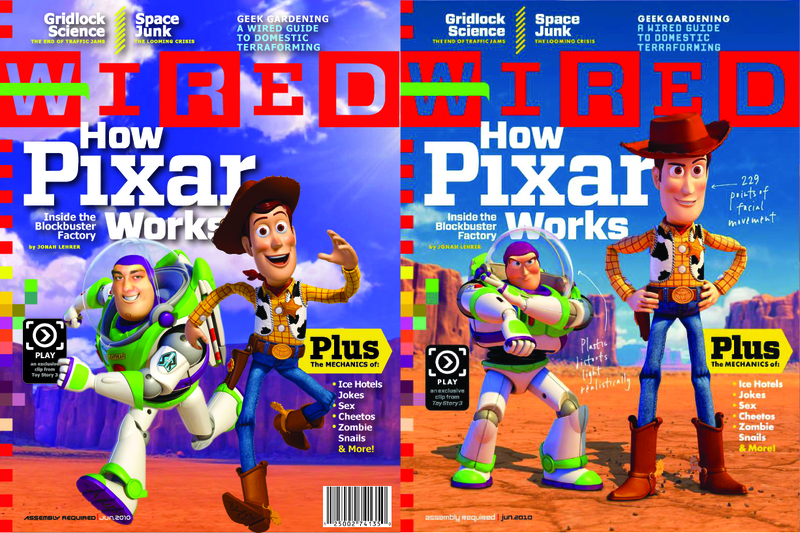 This is my recreation of the Wired June 2010 magazine cover on the left, with the original on the right. It is done completely by hand (mouse) using a drawing program called adobe illustrator. All of the text, and various shapes I re-drew by hand, or matched to existing fonts in illustrator as vector based graphics (effectively creating infinite resolution). I removed the images of Buzz and Woody from their original photos, and placed over top of a frame grab from the Toy Story 3 movie. I then photo shopped my face over Buzz`s.